Oracle has acquired security update technology company Ksplice to increase security, reliability and availability of Oracle Linux by allowing customers to apply security updates, patches and bug fixes without rebooting. Oracle has acquired security update technology company Ksplice. The company said Ksplice will increase security, reliability and availability of Oracle Linux by allowing customers to apply security updates, patches and bug fixes without rebooting. Wim Coekaerts, senior vice-president at Oracle Linux and virtualisation, said Oracle will be the only enterprise Linux provider to offer zero-downtime updates. "More than 7,000 customers have chosen Oracle Linux for mission-critical systems because of our world-class support offerings," said Wim Coekaerts. "The addition of Ksplice's zero-downtime update technology further extends our Linux technology leadership," Coekaerts said. Jeff Arnold, CEO at Ksplice, said his company's technology will transform Oracle's Unbreakable Enterprise Kernal updates. "System administrators are forced to choose between known best practices and added operational costs when administering Linux updates," said Jeff Arnold. "Ksplice's technology will be able to take Oracle's kernel updates and transform them into zero downtime updates that provide always-accessible systems with no reboot necessary. This results in improved system availability and security as well as reduced operational costs for the customer," Arnold said. Oracle expects to make Ksplice technology a standard feature of Oracle Linux Premier Support. In a letter to customers, Coekaerts said Oracle Linux premier support customers will receive immediate access to Ksplice technology with no additional cost to subscriptions. Oracle Linux Basic and Network Support customers will need to upgrade to premier support. Coekaerts also confirmed in the letter that Oracle does not plan to support Red Hat Enterprise Linux or SUSE Enterprise Linux. The company recently ran into concerns from Oracle users over its rising support fees following the delay of its Fusion applications. Oracle has a history of acquisitions. 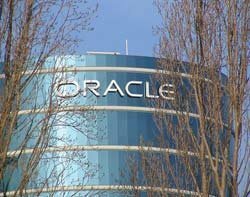 Oracle spent $7bn (£4.4bn) buying Sun Microsystems in 2009, the ailing Unix hardware manufacturer, which added to the acquisition of PeopleSoft, JD Edwards and Retek in 2005, as well as the buy-out of performance management software provider Hyperion Solutions for £1.73bn cash.